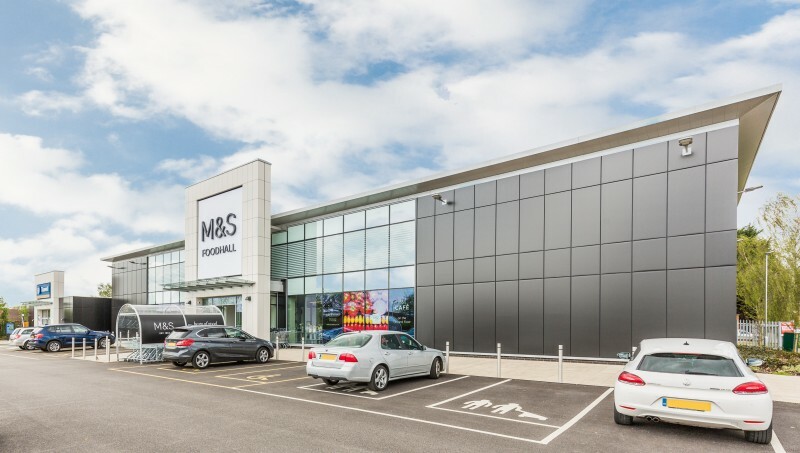 The proposal redeveloped unused land to the west of the Moorland Centre to create an M&S Foodhall, with an approximate 1,022m²/11,000ft² ground floor area and mezzanine over. The new building is orientated with its principal public facade facing southeast onto the Moorland Centre car park. This allows the proposal to ‘close’ the long views from Tritton Road, a major route into Lincoln, to the industrial units beyond. The structure is simple with quality materials to provide an elegant solution to the required scale of the commercial building. 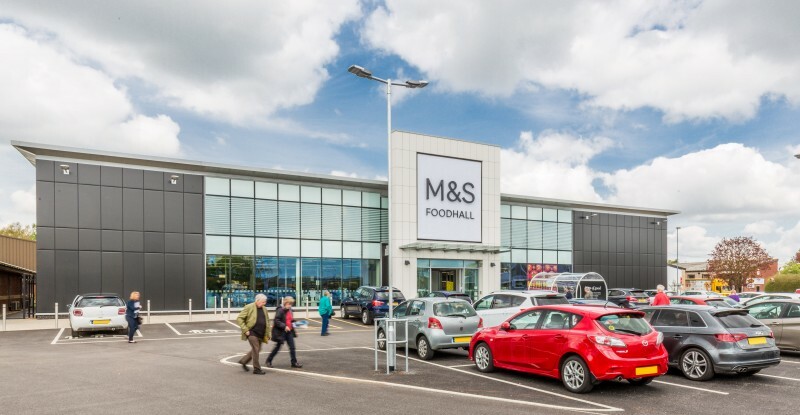 The contrasting portico provides appropriate focus within the retail park scene.